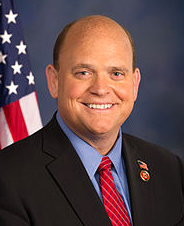 Feb. 15, 2017 – The geothermal heat pump industry and several other clean energy technology industries are a step closer to saving thousands of jobs with the reintroduction of tax credit legislation by Reps. Tom Reed (R-NY), Rep. Mike Thompson (D-CA), and 18 more cosponsors (12 Rep. and 6 Dem.). HR 1090 will reinstitute and extend through 2021 commercial and residential installation tax credits geothermal heat pumps, fuel cells, microturbines, small wind and combined heat and power. Included are a 10% commercial Investment Tax Credit under Sec. 48 of the tax code, and a 30% residential Income Tax Credit under Sec. 25D. The legislation is meant to remedy the inequity created in December 2015 when Congress extended similar tax credits for commercial solar energy and residential solar energy installations, but neglected to include geothermal heat pumps and other qualifying clean energy technologies. Tax credits for the “orphaned” clean energy technologies ended at midnight on Dec. 31, 2016. The Reed bill provides for the same tax benefits enjoyed by solar. For residential applications that includes a retroactive tax credit of 30% that phases out in steps before ending on Dec. 31, 2021. The commercial tax credit will remain at 10% through 2021. The bill also changes “placed in service” language in the tax code to “construction of which begins before Jan. 1, 2022” for commercial projects, ensuring consumers can enjoy the tax credit benefits right up to their new expiration date. With thousands of jobs among geothermal and other “orphaned” clean energy industries on the line, urgent action is needed and the introduction of the Reed bill is the first step. Without the tax credits, geothermal heat pump manufacturers project 30-40% sales decline in 2017 and beyond. “Geothermal heat pumps are 100% ‘Made in the USA’ with American-made components manufactured and installed by American workers,” said Geothermal Exchange Organization (GEO) President Doug Dougherty. Without reinstatement and extension of federal tax credits, the entire geothermal supply chain, including manufacturers, distributors, dealers, contractors, installers, drillers – plus all the families and small businesses that they support – will all see loss of investment and jobs.